Acre Station Meat Farm is located in Eastern North Carolina and offers retail fresh meats and grocery products. 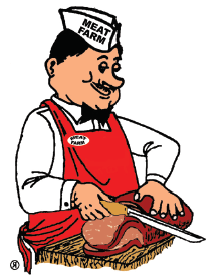 Specializing in fresh pork, beef, fresh and smoked sausage, seasoning meats, fresh frozen vegetables, specialty sauces, and marinades. Your Traditional Butcher Shop will cut to order. Visit our online store… we will ship to your door. We also offer Country Ham, Fresh Frozen Vegetables, Seasoning Meats, Bulk Sausage, Link Sausage, Filet Mignon, Baby Back Ribs, Center Cut Pork Chops, Sauces & Marinades, Dry-Aged Beef, Charlie Mills Famous Bar-B-Que Sauce, and Freezer Specials for Pickup Only. Tell us what you think about our website, our products, our organization, or anything else that comes to mind. We welcome all of your comments and suggestions. 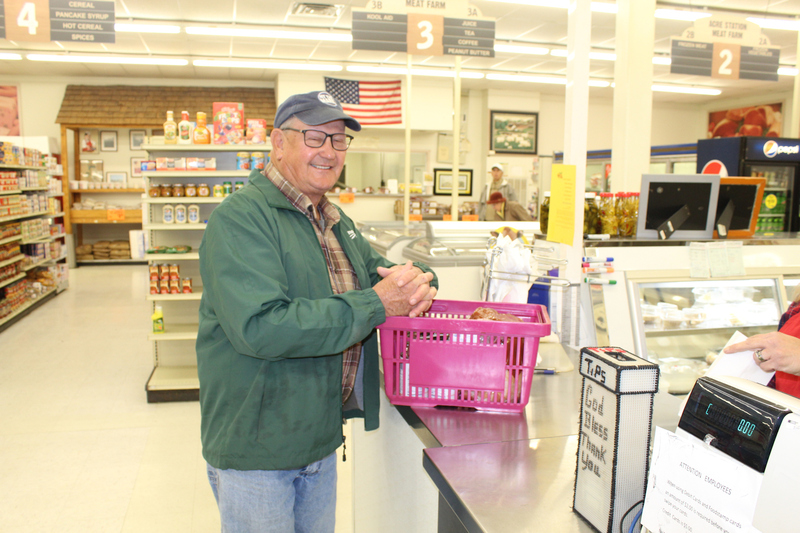 Thank you for shopping Acre Station Meat Farm, “Fresh Cuts, Friendly Service”. Please call our toll free number to place an order or for any questions. Thank You! Let Acre Station Meat Farm help you fill your freezers. We will be accepting your harvested wild game Monday – Friday 7:00 am until 2:00 pm. Please call 252-927-3700 other drop off times may be available. Proud processor for Hunters for the Hungry. Click Here for Deer Processing Prices. NOTE: All products are quick frozen and shipped Fed-Ex 2nd day Express in reusable Styrofoam cooler with gel packs to insure freshness (this will incur a $20.00 fee added for materials & packaging). Smoked and cured products are not frozen, but are shipped with gel packs to keep product cool (NO $20.00 packaging fee for smoked meats). If you do not see a product you may be looking for, please call us at 1-866-462-2763 and we will do our best to fill your order. Order extra frozen gel packs (3 for $5.00) from our online store. Provides extra assurance products are sufficiently cooled in hot climates. Flat rate shipping is now available through United States Postal Service on Non Perishable ONLY. No meat items allowed to be sent with this service. Rates range from $7.25 to $18.85 from coast to coast. If you have any questions please call 1-866-462-2763, Mon-Fri. 6:30 am- 1:00 pm EST, and ask for Ronnie. After Credit Card authorization, we will contact you with total charges shipping charges and packaging fee, if applicable. Cooling meat right with Whiteswarehouse.net! At Acre Station Meat Farm we pride ourselves on providing our customers with top of the line quality meats at great prices. Freshness of our product is very important to us, and we understand the need to have quality refrigeration for all of our product. Maintaining the appropriate temperature in a walk in cooler or cold room is critical for butchers. The importance of controlling the temperature for meat storage and display in butcher shops of all sizes cannot be underestimated. The health of the consumers and the quality of the meat being sold are all dependent on the ability to keep the meat at an appropriate and safe temperature. It is not only cold rooms and meat chillers that have been the subject of temperature control innovation. Display units are another area where meat is stored and appropriate refrigeration is crucial. For the safety of our customers and compliance to health regulations, refrigeration is one area where corners should not be cut! We would like to thank Matt White of WhitesWarehouse.net for providing us with all of our refrigeration needs, from walk in coolers, refrigerated display cases, glass door coolers and efficient serving of all our refrigeration and freezers needs! We highly recommend you visit their website at www.whiteswarehouse.net. If you don’t see what you need or would like a quote you can reach Matt at 252-661-2700.